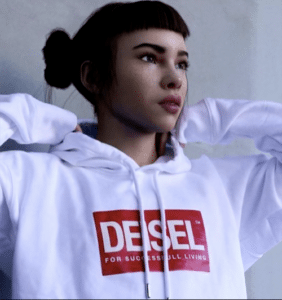 Lil Miquela has promoted brands such as Diesel. What you see is what you get isn’t always the case with social media influencers—especially when they’re actually computer generated avatars. As CBS This Morning reports, computer generated social media influencers are a growing trend in an industry that is projected to hit $2 billion by 2020. Take Lil Miquela, for example. The artist-built avatar—created by Trevor McFredries and Sara Decou of robotics/AI company Brud—has over 1.2 million followers and promotes designer clothing brands. The rise of this influencer feels as much “Westworld” as it does “America’s Next Top Model.” Her Wikipedia page describes her as “sentient digital art, with followers who call themselves “Miquelites.” She is purportedly in conflict with a fictional AI company called Cain Intelligence and another avatar, Bermuda, a Trump supporter who supposedly hacked Miquela’s social media accounts recently. She released a single on Spotify last year, leading some to compare her to other artists that blur the lines between fiction and reality, like Gorillaz. Fashion houses are taking note of her pull: In February, Prada partnered with Miquela to help launch their spring collection. Other brands she’s promoted include Diesel (she plugged their pop-up shop) and Moncler’s Genius collection. Then there’s Shudu, who some call the world’s first digital supermodel. Shudi’s creator, London photographer and designer Cameron-James Wilson, says she was inspired by a Barbie doll. Shudu’s first fashion spread recently appeared in Women’s Wear Daily; she has 125,000 followers. 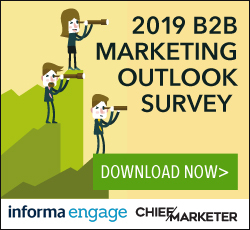 Not everyone is so excited about the potential of these virtual social media influencers. Attorney David Polgar, who has studied the ethics of technology, thinks the FTC needs to consider guidelines for such lifelike avatars.